Destination Davenport Area, Fl. Kissimmee, Fl. Orlando - Disney Area, Fl. Please complete your details below to receive copies of our full colour brochure by email. 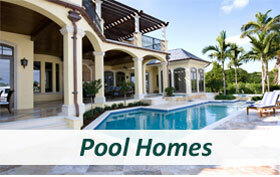 Thinking About Buying a Home in Florida?? Check out our Properties of the month!! 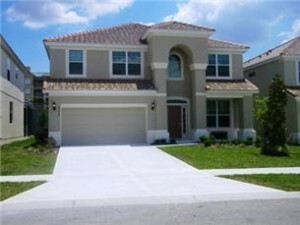 WELCOME to Florida Link Properties©! Florida Link Properties, working in close association with several Realtor in Florida, will they will ensure that your entire buying or rental experience is truly enjoyable and effective. Professional guidance is with you every step of the way! 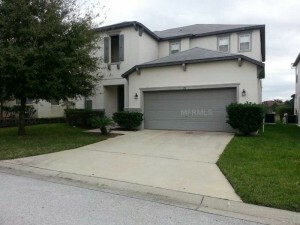 We have properties for sale and for rental in all the most popular areas of Central Florida including Orlando, Kissimmee, Davenport, Clermont and all of the renowned “Disney” area. Buying a home in Florida is not difficult but it is different to the process in the UK and Europe and so has many pitfalls for the unwary. That is why we employ only fully Florida Licensed Realtors® who will work with you and guide you through the whole process from viewings,legal work, surveys and finance. Buying a home can sometimes be a complex undertaking. 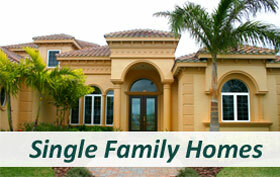 In today’s challenging real estate market selecting the right real estate agent is crucial. 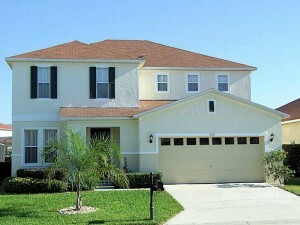 As your local Orlando Realtor I want to provide you with the exceptional real estate service you deserve. I can help you reach all of your Real Estate goals and together we can look at your wants and needs to help Find or Sell your home. I will represent you by expertly negotiating on your behalf, and taking care of all the critical paperwork. Your real estate needs are my main focus, so you have my full attention throughout. For Foreign Nationals looking to purchase a vacation home or investment properties, Let me help guide you through the process of purchasing properties here in the United States. You need an experienced Estate Agent who is trained and can guide you through tax issues, immigration questions, and financing your vacation property. 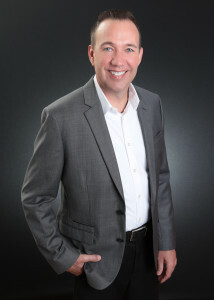 I invite you to contact me with any of your Real Estate needs. My Number one goal is to provide home buyers, sellers and real estate investors the best possible customer service. We suggest that you make a short-list of the properties you are interested and then our Realtor® arrange for you to view each of them . We feel that it takes four to five days to look through properties and then re visit your final selection. We can offer frequent departures through all scheduled airlines from all UK major Airport to Florida together with hotel or Villas accommodation and we would be very happy to tailor a viewing trip for you. Alternatively you may be travelling on your holiday and if this is so, then we will be delighted to schedule viewings at your convenience, the air holidays and flights in this site are ATOL Protected, since we hold an Air Travel Organiser’s Licence granted by the Civil Aviation Authority, Our ATOL number is 5139 Florida Bank Owned and New properties, Home Specialists, BUY NOW! at all times low with savings of over 50%. If you are looking for a deal look NO FURTHER we can help! MORTGAGES.. MORTGAGE CALCULATOR! Click Here!! During the buying process we will communicate with you on a regular basis. 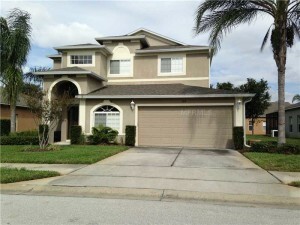 You may chose to ‘close’ on your home in Florida or alternatively you can be mailed a closing on your home. Felipe also has been in the travel profession for over 30 years, first as a tour guide with West Midland Travel, then to Managing Director/Owner of Northern Holidays Ltd., one of the UK’s leading tour operator for the Coach market to Spain and one of Britain’s leading Coach Group operators, as Managing Director of Operations with the Travel Organization, the last 25 years as President and CEO of Northern Holiday Group. 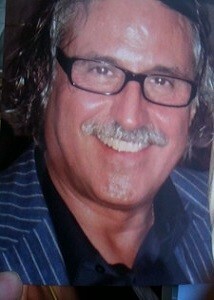 Over 30 years of his career have been involved with the Spanish Group Travel Market. 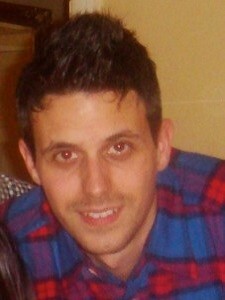 Richard Rodriguez has been a travel profession for over 20 years, first as a Resort Representative in Spain (Costa Brava) with Northern Holidays Ltd., then to Company Secretary of Sun Ways Direct Ltd., one of the UK’s leading tour operator supplier to Spain for the Travel Trade, at the moment he hold the position as Director with Northern Holidays Ltd, which is one of Britain’s leading Coach Group operators and accommodation suppliers to the UK Tour Operators Market, for over 20 years of his career have been involved with the Spanish Group Travel Market. Wendy is based in Florida, Wendy has worked in the investment real estate industry for the past 10 years, assisting clients from America, Canada, UK, Scandinavia and mainland Europe. 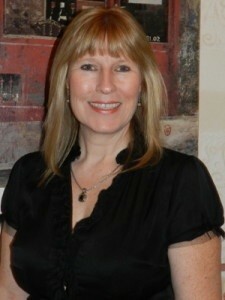 She has helped thousands of clients buy or sell their homes and is a true expert in her field. 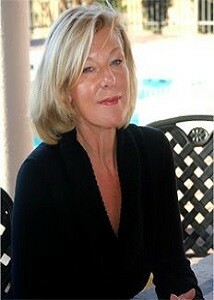 “Most of my clients come to me a as result of recommendations from previous satisfied clients. Many simply want to own their dream home in the sun…” “Most of my clients come to me a as result of recommendations from previous satisfied clients. 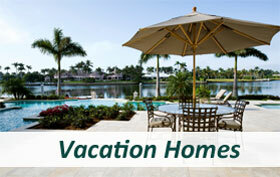 Many simply want to own their dream home in the sun. Many want to take advantage of the market and buy and sell at the right time. Some want to build a property portfolio which will provide long term gain. All my clients have receive the same care and attention, and have the benefit of me being able to harness exactly the right ancillary services such as financing, home inspections, even remodeling and furniture purchase!” Sales and Marketing have always been the focus of Wendy’s career. She studied marketing and graduated from Bournemouth University in the UK. Since then she has worked for leading advertising agencies as well as several large financial service companies where she focused on marketing services and product development. She admits that she has found her true vocation in Florida – selling and marketing houses to people she enjoys spending time with and having the satisfaction of truly helping clients though the house purchase process. 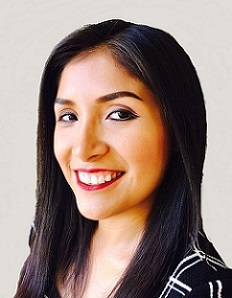 “Originally from Peru, graduated in Tourism Management, Miluska loves helping others find a place to call home. Her motivation to work for the number one tourist destination in the world, The Walt Disney World Resort, brought her to Florida, where she worked in several guest service roles, she brings the magic to the buying/selling experience. Florida offers a unique Real Estate environment. Residents find family-friendly oriented places where they can relax and enjoy their privacy and visitors find places with close proximity to major attractions, places they can call home during their vacation time”. Steve, from a small town upbringing to the urban environment of Orlando where I have lived for over 23 years I have always strives to keep things simple. I enjoy life and surround myself with people who share the same positive energy. The successes that I have enjoyed in life are due to people who gave personal guidance and a foundation of strong morals. These same people taught me early on that to gain respect from others, I must take responsibility for my actions. With the support of family and friends I have lived by these standards to date. I carry these high standards into my professional career as a Realtor. With down to earth approach for each of my clients, I strive to keep the process of selling or buying a home as stress free as possible. Again, I surround myself with professionals in Lending, Title, Home Inspection and Appraisal who are among the best in their respective fields who share similar values. I owe my success as a REALTOR to family, friends, past clients, and business associates who have supported me by referring clients. I feel a referral is the highest compliment anyone can give me because it shows the trust and respect that other people have in my abilities to get the job done. Samantha is based in Florida, Samantha comes from an international background, having lived in the UK, Australia and New Zealand prior to moving to the US. She has been with IPG for a year now and enjoys nothing better than assisting her clients in their quest for the perfect home. Her enthusiasm and attention to detail have brought about many successful closings and equally happy clients.More recently, she has included long term leasing in her focus and has become an integral part of the IPG property management team. We have all heard the stories of how someone picked up a fantastic deal on a foreclosure home and figured if they can do it, so can I. Who doesn’t want an unbelievable deal on a house??? Well like everything else in life sometimes the offer sounds just too good to be true. You first need to know some facts and understand the difference between Foreclosure and REO (Real Estate Owned). A foreclosure sale starts with a minimum bid of the property that will include the current loan balance, interest on the loan, any attorney fees and other cost accrued with the foreclosure. Potential bidders of foreclosure properties MUST have a cashier check with them for the full amount of their bid price. 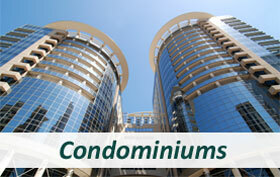 Those whom are successful and win the bidding will receive the property in an “AS-IS” condition. This may include but not limited to tenants still in the property, liens or judgments held against the property. It is highly suggested that you have a title company conduct a lien search before you bid on any property. 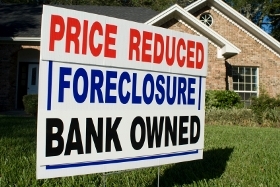 An REO property is one that fails to sell at a foreclosure auction and goes back to the lender / Mortgage Company. Most foreclosures do not result in a bid because what the bank is asking for in a bid price is often more than the property is worth. The property then reverts back to the bank where it becomes an REO or real estate owned property. When the bank takes back ownership of the property a loan no longer exists. It is up to the bank to take care of any liens or HOA (home-owner Association) fees, handle any evictions and “may” make repairs. It is suggested that you have a qualified home inspector view the property before purchasing. The cost of repairs can be negotiated in the offer price. Make sure you do your homework before you make an offer. Not every bank owned property is a steal so you want to make sure that the price offered compares to other homes in the neighbourhood. You need to consider the condition of the home (repairs) when placing an offer. If you find yourself competing with multiple offers on the property you are bidding on, you may want to consider passing. Bidding the price higher may mean you are paying over market value. While all banks and lenders are very different the all have the same goal when it comes to an REO. This is basically getting the highest price and moving the property off their books as soon as possible. Most banks have a special department set up to handle their REO inventory. This department (Loss Mitigation) negotiates the sales of each property. Once an offer is made to the bank, this department will review the offer and typically present a counter-offer. At this point it is no different the negotiations with a regular seller. The bank is trying to protect their interest as well as the shareholders and investors of the bank. You should plan to counter the counter-offer. One thing that you should be very prepared for is that banks take their time with all offers. Often each offer will need to be reviewed by several people and can take days and even weeks. REO’s are almost always sold in “as-is” condition. For your protection, you should hire a licensed home inspector to do a complete inspection of the property. You should know of any problems in advance of your purchase. This inspection is typically at your expense and any repairs needed will most likely be at your expense. Most contracts for purchase allow you a “right to inspect” contingency which will allow you to cancel the contract if you deem the repairs to be too excessive or too costly. Keep in mind that even though an offer is made “as-is”, you can always ask the bank for repair to be made or a credit for the repairs at the closing. By giving the bank a chance to make repairs or re-negotiate to offer, it gives them the opportunity to save the transaction instead of putting it back out on the market. This should not be taken for granted; banks will do what they want to do without making sense to you. When it comes to disclosures about the bank property, it is often said that banks have all the rights and the buyer has none. While this may not be totally true you can expect the bank to have you sign addendum and disclosures that essentially release them of liabilities tied to the property. Properties that involve a Real Estate agent either on the Sellers side (bank) or the Buyers side are required to provide you with disclosures for the property. Before an offer is made, you will want the agent representing you to contact the listing agent and ask the following questions. Are there any other offers on the property? Is there an inspection report? What is the time frame for the bank to accept the offer? Are there any special addendum or terms that the bank requires? What fees will the bank be paying? Will the Bank pay any Buyers closing cost or Buyer concessions? Once your offer is received by the Listing agent, they usually will fax or e-mail it to the Bank Negotiator for review. Keep in mind that banks are very busy with foreclosure and work on a first come first served. Banks do not work on weekends, nights or holidays so if you are given a 5 day time frame for a response, this means 5 business days. When submitting your offer you will want to provide the listing agent with a strong offer. Sending a pre-qualification letter is good but a pre-approval letter is much stronger. Show the bank that you are flexible with their time table. Respond to their request quickly and even provide the bank with a little Buyer background. The better the Bank knows you, the better chance you might have. Remember the bank doesn’t know you because they have no face to face contact with you. By making your offer strong and explaining your financial position, you might just beat out an offer that is identical to yours. The bottom line for REO’s is to be an informed buyer and prepare yourself for unexpected surprises. By working closely with your Real Estate Agent, you should be able to avoid the major problems that can arise in an REO property. Like most property investors you will probably want to visit the Orlando area in order to select your home and to put in place any mortgage or banking requirements. You can be assured of a warm welcome from the IPG team and we will make your trip as simple and as pleasurable as possible. We will be happy to tailor-make an inspection visit to meet your specific needs. And one of our experienced Realtors will contact you ahead of your trip to discuss your options and requirements and will then plan your trip so that you accomplish everything you need to do. Your trip is likely to be 4 – 5 days and which should provide ample time to have an effective and successful visit. We will book your flights and accommodation for you and plan a tentative itinerary. Typically it will include visits to several builders and developers where you will be able to view the model homes and available lots. We will also arrange for you to meet with a representative from a suitable mortgage company, introduce you to a major bank so that you can open a US bank account and, if needed, arrange for you to meet with a furniture company who will be able to assist you with the interior design and furnishing of your new home. Just as important as buying your home is making sure that it is well looked after once you return home. You will have the opportunity to meet with one of our experienced property managers who will explain how the management and (optional) renting of your home will work. From putting bookings in the house (if you so elect) to the payment of bills relating to the operating costs and the general day to day running of the property. You will be able to return home knowing that your investment, once ready, is in good and trusting hands. We will assist towards the cost of your inspection tour by providing flights from the airport of your choosing and villa accommodation; all at discounted prices (for up to 2 persons). Should you purchase a new property (rather than a resale) we will be glad to pass on the builder’s marketing contribution by refunding the cost of the inspection tour for one person. This will be paid to you after the closing of your purchase. The Realtor who will work with you will be on hand during the duration of your visit and will provide assistance and advice on the house purchase process, ancillary services as well as information about current market trends. Knowing the industry, the area and the developments well, your Realtor will also provide whatever help and advice you need to assist you in making the most cost effective investment. Opportunities in the housing market continue to grow for buyers and sellers. Home affordability, driven mostly by record low interest rates, is among the lowest it has ever been. According to the National Association of Realtors, and based on national averages, the payments on a home today represent 12.8% of the median household income. This is both a good sign for those looking to purchase a home, and for the economy overall as consumers are keeping more money in their pockets. If you’re a seller, the housing market shows signs of transitioning from a buyers’ market to a more balanced one. This means that home owners should start to see prices stabilize and begin to grow, presenting more favorable opportunities for those looking to sell their homes. In regards to the number of homes on the market, a key indicator of the health of the housing market, Lawrence Yun, NAR chief economist, said, “The broad inventory condition can be described as moving into a rough balance, not favoring buyers or sellers.” With continuing job creation, the improving housing sector, and signs that the banks are beginning to lend more, 2012 looks to offer promising opportunities to both those looking to buy or sell a home. Source: National Association of Realtors. Interest Rates : The most powerful indicator of home affordability, interest rates on mortgage loans, was down again in January. The national average for a 30-year fixed mortgage was 3.92%, down 0.04% from the month before, and down nearly an entire percentage point (0.84%) from a year ago. These historically low rates, coupled with today’s home prices, represent an incredible opportunity for home buyers. Home Prices: Adding to home affordability in January, the median home price was down 2% from a year ago, to $154,700. While prices are still declining, foreclosed and other distressed properties, which have been putting downward pressure on home prices, are being moved more efficiently off the market, and default rates on home mortgage payments for the past three years are among the lowest in history. Inventory: As sales increase with a growing demand for homes, the inventory of properties for sale fell 0.4% to 2.31 million, or a 6.1-month supply at the current sales level. This is down from a 6.4-month supply in December 2011. Historically, a 6-month supply has meant that the housing sector is balanced–favouring neither buyers’ nor sellers’. click here to go to the home page!! !